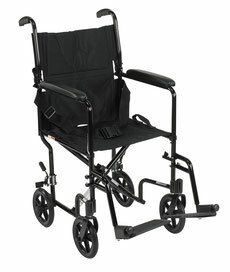 The Travelite Transport Chair in a Bag from Drive Medical is easily transportable and can be used both indoors and outdoors. 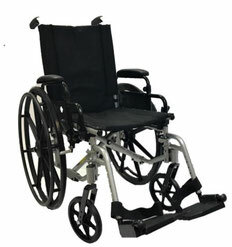 The Fly Lite Ultra Lightweight Aluminum wheelchair by Drive Medical is an ultra light transport chair that weighs only 16.8 lbs. 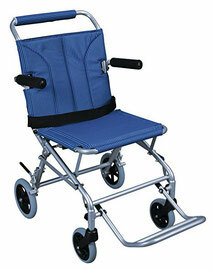 This lightweight Steel Transport Chair by Drive Medical is convenient, durable, easy to transport and safe. 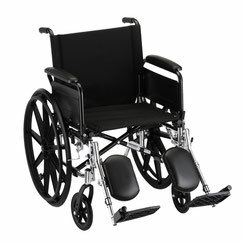 The 20" Steel Wheelchair by Nova is available in various models to accommodate any user. 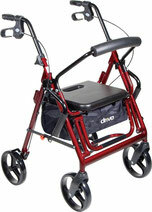 This Super Light Folding Wheelchair by Drive Medical weighs only 19 pounds, making it one of the lightest in the market. 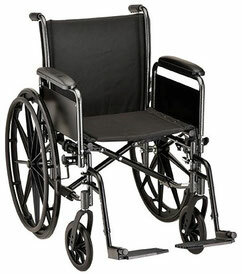 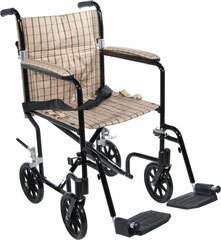 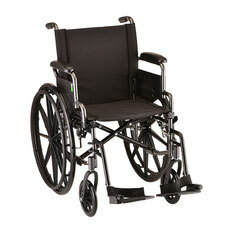 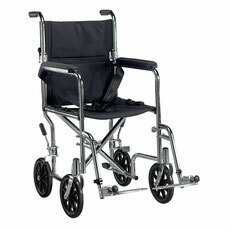 The Aluminum Transport Chair by Drive Medical is lightweight with maintenance free wheels. 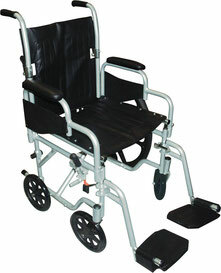 The Go-Kart Steel wheelchair by Drive Medical has swing away footrests and a seat belt to easily and safety transport. 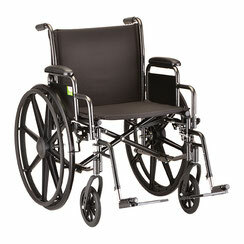 This Bariatric Steel Wheelchair by Drive Medical has dual, reinforced steel cross braces and a reinforced steel frame for added support. 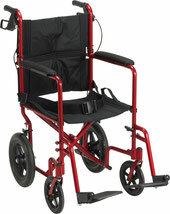 The 16" Lightweight Wheelchair by Nova has a lightweight design available in a variety of options. 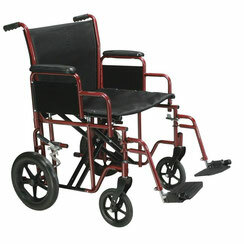 The Poly-Fly Lightweight Wheelchair by Drive Medical can be used as a standard, self propelled wheelchair or as a transport chair. 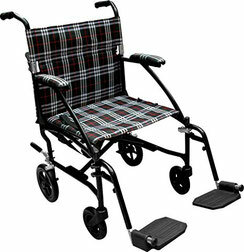 The Deluxe 17" Fly Weight Aluminum Transport Chair by Drive Medical weighs about 30% less than traditional transport chairs. 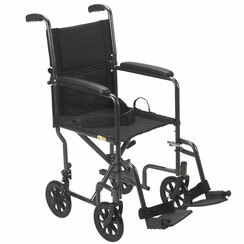 The Duet Transport Chair/Rollator by Drive Medical allows you to ambulate independently or be pushed safely by a care giver. 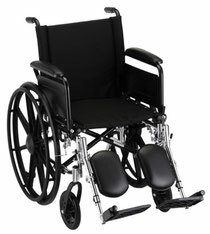 The 18" Lightweight Wheelchair by Nova has varying functions to choose from to suite your needs. 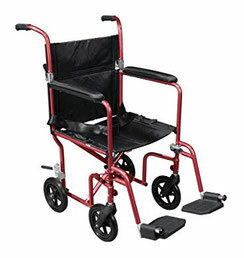 The Deluxe 19" Fly Weight Aluminum Wheelchair by Drive weighs only 19 pounds and is made to be convenient to store and transport. 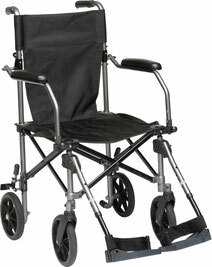 The Expedition 19" Aluminum Transport Chair by Drive Medical weighs only 19 pounds and supports up to 300 lbs. 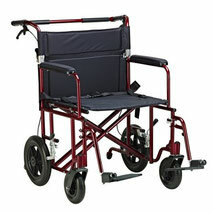 The 16" Steel Wheelchair by Nova is available in a variety of options to suite any user's needs. 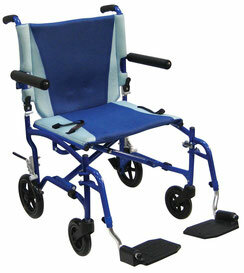 The 20" Lightweight Wheelchair by Nova is available in various designs to accommodate any user.